Two new entries in top five, one on just 65 screens – and look at that screen average! With a holiday Friday as part of the four-day weekend, cinemas could have been perhaps hoping for even a slight bump on the previous weekend. As it turned out the baking hot summer in many parts of Australia kept attendances flat with the weekend take close to the previous weekend – $18.98m. Two new releases made the top five – one of them starring an Aussie screen superstar and the other showing on just 65 screens with an impressive screen average. One can only imagine what social media would have thought of the Tonya Harding supporters who attacked Nancy Kerrigan back in 1994. The two skaters were massive news for what seemed like ages in what was the precursor to the internet age. The mockumentary starring Margot Robbie as Harding opened on 269 screens with the best screen average of any movie in wide distribution – $8,617. Still perched at #2 after five weeks, the film’s amazing run across the summer continues. While The Last Jedi got all the headlines about box office records, Jumanji 2 is now less than $5m from cracking the all-time Australian box office top 10! That could be a big ask from here, but it is an incredible achievement. The film remains on 388 screens (over 100 more than anyone else) with its weekend screen average $5,789. Total earn to-date is $44.54m. The movie dropped from first place last weekend as takings were off 37%. The Death Cure remains on 306 screens after shedding 49 with a screen average of $6,997. The film is just short of $7m to-date. Another brilliant summer success story holding in the top five for a fifth week with the weekend gross actually up 3% on the previous weekend. This despite screens showing the movie dropping by 90 to 261 as screen average lifted to $8,079. Total take so far is $23.78m. The best story this week is easily this controversial Indian film that has triggered protests in some parts of the country over its story about a Hindu queen and a Muslim warlord. Despite the film apparently only hinting at a relationship between the two, it has not stopped Hindu fundamentalists from threatening to destroy cinemas showing the movie. Opening on just 65 screens, Padmaavat had a huge screen average of $26,595, which was enough to propel it into the top five. Star Wars: The Last Jedi is now just $500,000 from replacing Titanic as the third biggest film of all time. That could happen this week with The Last Jedi earning $650,000 on the weekend alone. Seven and Nine pressed “Go” on their Q1 major reality formats last night after TEN’s I’m A Celebrity got off to a good start on Sunday. Seven dominated the night with a winning primary channel and network share. 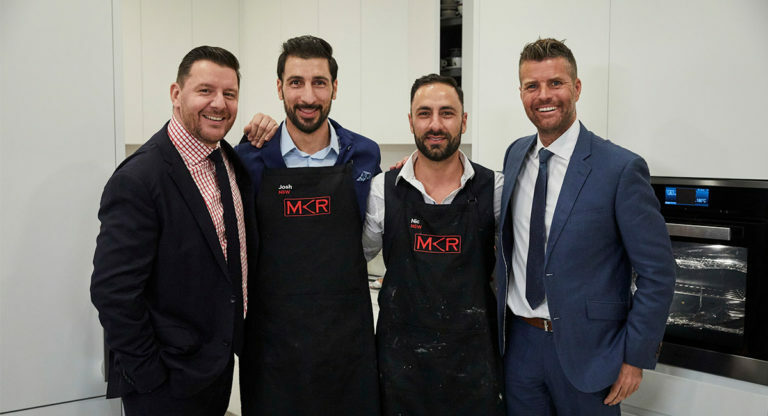 While My Kitchen Rules continues the tradition of dominating ratings, two of the major formats were down year-on-year while the third managed to improve on its season launch from 12 months ago. Home and Away returned at 7pm and there was plenty of drama with Ziggy and Brody getting steamy while missing Maggie was washed ashore. The series has returned with an audience of 796,000, which is at the upper end of what it has been doing at the end of 2017. 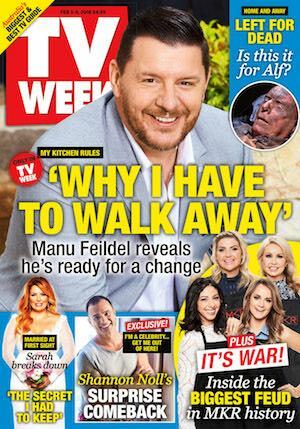 My Kitchen Rules season nine “real people, real food” is under way and Seven didn’t waste any time promoting the forthcoming upheaval when two contestants are sent home. Sydney brothers Josh and Nic kicked off the competition with an Italian menu where the dessert was the most successful dish for both judges. There are some intriguing contestants in this first group, in particular Jess and Emma. The first episode of the new season ranked #1 for the night on 1.18m. Yet that was down on the 1.30m watching the 2017 season launch. Seven dangled another new episode of The Good Doctor in front of audiences before survey starts – how times have changed! The audience turned out again with 1.09m watching, which continues its good numbers from the end of 2017. Seven screened the 2018 Grammy Awards yesterday – the live coverage from 11.30am did 141,000 while the 10pm encore screening did 168,000. Tracy Grimshaw returned to A Current Affair after a summer break. The show had some of its A team working including Martin King and Grimshaw conducted a studio interview. The show also carried a shortish plug for Married At First Sight. The first ep of the week did 900,000 to win the slot. Married At First Sight was in the preliminary rounds with will she or won’t she expectations about one of the contestants and when she would reveal she had a daughter. The series launched with 912,000, up year-on-year from 826,000. 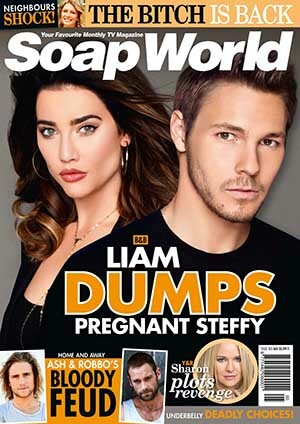 Later during its first week last year the series managed a peak average audience of 934,000 for the Tuesday episode. Also returning on Nine was Travel Guides with the Fren family visiting Italy, which had an opening night audience of 614,000. After the excitement around the arrival of Lisa Wilkinson last night, The Project started the work-day week with the regular team led by Carrie and Waleed with Pete and Steve Price. Highlights included Carrie Bickmore with Bernard Tomic prior his departure to South Africa and then two segments with Dave Grohl and Taylor Hawkins from Foo Fighters in the Melbourne studio one day prior to their Melbourne show tonight. The Project started on 433,000 against the Seven and Nine News, while after 7pm the crowd increased to 708,000. It was billed as Mundine Monday – the arrival of Anthony Mundine in the camp on I’m A Celebrity…Get Me Out Of Here. However, most of the interest was around Bernard Tomic and how he buckled after a challenge, threatening to quit already. The second ep did 858,000, which is down year-on-year from 959,000. Law & Order: SVU returned with a new episode and then a repeat. The new ep was on 245,000 and the repeat did 187,000. 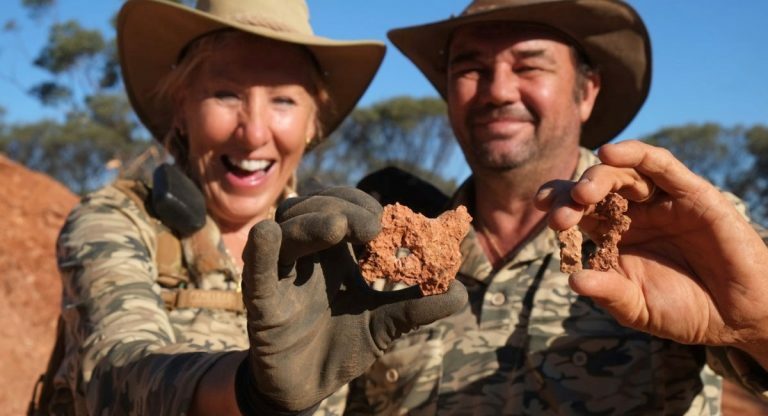 The season final of Back Roads with Heather Ewart saw her visiting Violet Town in Victoria with 677,000 watching. The final of Foreign Correspondent at 8.30pm Monday then did 561,000. A repeat of David Stratton‘s Stories Of Australian Cinema had him recalling giving The Castle one and a half stars. “If I saw The Castle today I would probably give it four stars,” he admitted. The episode did 376,000. The broadcaster is getting good mileage our of River Cottage Australia at 7.30pm with 169,000. The numbers then climbed to a repeat of Trust Me I’m A Doctor on 210,000 and then 24 Hours In Emergency did 179,000. 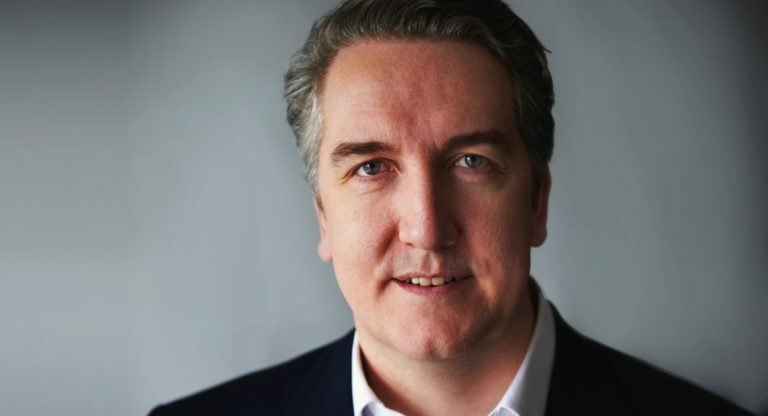 Fast growing Australian advertising technology startup Unlockd has revealed the rapid revenue growth that is leading to heightened speculation in investment circles that it could be a strong imminent contender for an ASX IPO, despite being only two years old, reports The AFR’s Paul Smith. The Lachlan Murdoch-backed startup has raised more than $60 million in just two years, including a $30.7 million round last May led by Malaysia-based telecommunications group Axiata, and has now renewed crucial global deals with Sprint-owned Boost Mobile in the US and Tesco Mobile in Britain. Unlockd co-founder and chief executive Matt Berriman told The Australian Financial Review that the company’s revenue grew 28% in the final quarter of last year, with December its best month ever, up 53% on 2016. Viacom International Media Networks has made two appointments for its operations in Australia and New Zealand. Chris Ellis (pictured) has been named vice president of commercial and business development. Meanwhile, Robyn Campbell is the new program sales manager for Australia and New Zealand. Ellis will report directly to Ben Richardson, GM of VIMN Australia and New Zealand, and will be based in Darlinghurst. Ellis has more than 20 years of experience in the media industry. Most recently, he was a partner in the digital innovation consulting firm Blue Road Group. He previously has worked on projects with Bauer Media and the ABC, and also co-founded cloud-management software firm GorillaStack. 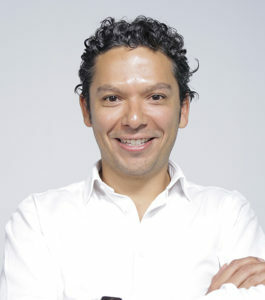 He has also worked at Trinity Mirror in the UK, IGN Entertainment, MySpace and AOL. Campbell has more than 15 years of experience in programming sales. She previously represented the ABC and BBC Worldwide. As part of her new role at VIMN, Campbell will manage all program sales to third party broadcasters across Australia and New Zealand and report to Ellis and Lauren Marriott, VIMN’s UK-based vice president of international program sales. Hosts Rachel Griffiths and Jonathan LaPaglia honoured prominent Australians Margot Robbie, Bruna Papandrea, the late Heath Ledger and John Farrar for their individual contributions to the US-Australia relationship at the 2018 G’Day USA Los Angeles Gala, held at the Wilshire Grand Ballroom at the Intercontinental Hotel Downtown. Guests walked into a mega ballroom full of big round tables to all things Australian – including wine and food created by chef Curtis Stone. 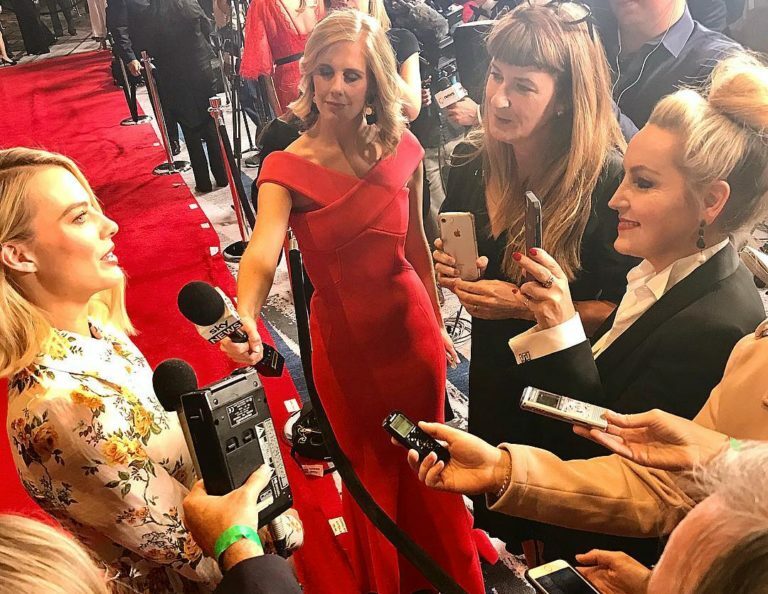 While the ‘gala’ is the ‘celebrity’ part of the trade initiative, the red carpet is an A team fest with the likes of Rebel Wilson, Margot Robbie, Dan MacPherson, Olivia Newton-John and John Travolta all making their way down the ruby rug. Other presenters, guests or performers included Colin Farrell – who gave a posthumous award to his friend, the late Heath Ledger – while other names who swanned onto the stage included Isla Fisher, Amy Adams, Curtis Stone, Rebel Wilson, Rose Byrne, Ruby Rose, Emilie de Ravin, Olivia Newton-John, John Travolta, Jacki Weaver, Luke Hemsworth, Buzz Aldrin, Human Nature, Daniel MacPherson, Phillip Noyce and Paul Hogan. 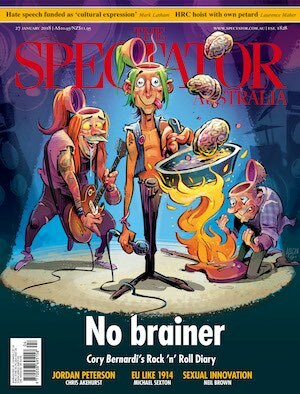 The magazine publisher’s lobby group that represents Bauer, Pacific and NewsLifeMedia is getting a major overhaul. The organisation’s executive director Mary Ann Azer is leaving the organisation this week. Her last day is Wednesday. 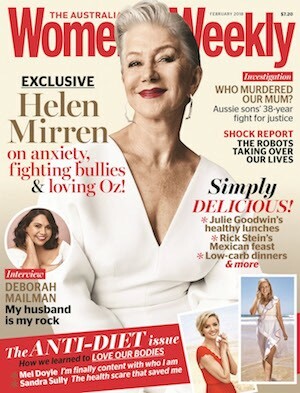 She commented today: “The publishers – Pacific, Bauer Media and NewsLifeMedia – have made the decision to take active control of and leadership of the body to push it forward in a unified manner, and I am excited about its ongoing growth. “I have thoroughly enjoyed my time working for MN and all that we have achieved, and am looking forward to my next challenge. 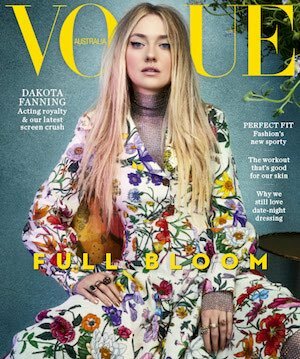 “There has been amazing evolution and innovation across all of the Magazine Networks publishers over the past two years, and it is time for us to step up, take ownership and do a better job of communicating that. It is incumbent on us. 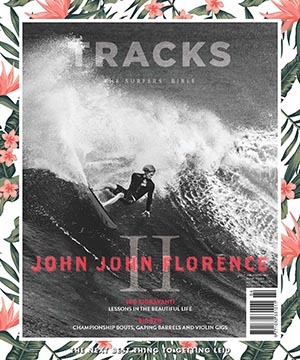 “In that event we’ve made the decision to come together and take a more active, collaborative role in the future running and direction of Magazine Networks. “I look forward to working more closely with Paul [Dykzeul, Bauer CEO] and Nicole [Sheffield, News Corp Aust chief digital officer] as we tell the story of how, more than ever, our brands are leveraging their intimate relationships with audiences beyond the traditional printed form and ultimately offering trusted, targeted and contextually relevant environments for our partners. Commercial Radio Australia has appointed Jaime Chaux head of digital. Chaux will be tasked to develop the industry’s approach and strategy across the digital space including responsibility for the all-of-industry RadioApp, podcasting strategy and policy, social media, DAB+ content and other emerging areas of multiplatform innovation. Chaux will also support CRA’s DAB+ digital radio team, led by head of strategic development Kath Brown, with a specific focus on DAB+ content initiatives for metropolitan and regional members. Chaux has held a variety of senior roles in radio and is currently content director of Southern Cross Austereo’s on-demand audio digital network, PodcastOne Australia. He previously worked on secondment with CRA on the development of RadioApp, which launched in late 2016. Chaux takes up the new role in March. Meanwhile, Guardian Australia has launched its first fundraising campaign with the aim to collect $50,000 in reader contributions over the next three months. The funds will be used to support its new editorial series called Our Wide Brown Land, which focuses on Australia’s environment issues. 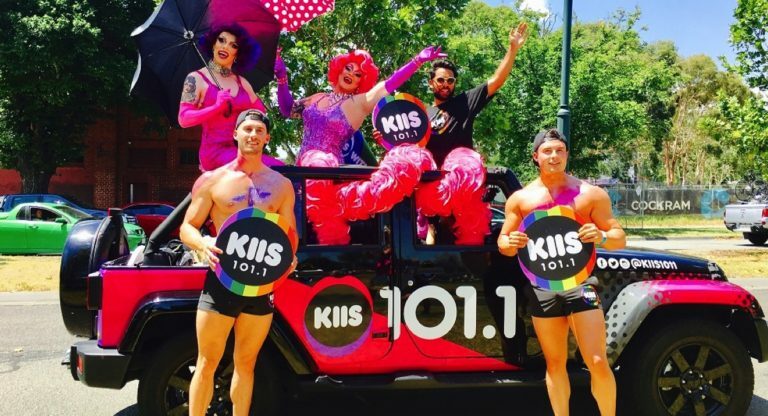 ARN’s Melbourne station KIIS 101.1 has partnered with the city’s premier queer arts and cultural celebration Midsumma Festival for the second year in a row. The radio station will be the official media partner for the event. A key part of the partnership included participation in the 23rd annual Midsumma Pride March, which took place on January 28. Bernard Tomic isn’t coping with jungle life, reports News Corp’s Jonathon Moran from South Africa. The controversial tennis player has threatened to quit I’m A Celebrity … Get Me Out Of Here! just a couple of days into the fourth season of the popular reality show. “I don’t think I can do it,” Tomic said. Australian Survivor host Jonathan LaPaglia says he’s unsure how the new format of the upcoming series will work, reports Sydney Confidential. Branded Champions v Contenders, it will pit “champions of public life” against “everyday Aussies” in a battle for $500,000. “I’m about to have a discussion with the producer this week so I’ll know more then,” LaPaglia said. Shopper Media Group reports its portfolio has reached more than 200 shopping centres nationally – the result of accelerated centre growth in 2017. Shopper Media Group CEO Ben Walker says the new retail signings illustrate the growing demand from shopping centres for 100% digital media solutions, and best-in-class data collection and analytics. Since its launch in 2015, Shopper Media Group has focused on expanding reach in grocery-centric hubs. Shopper Media Group digital solutions include Smartlite® advertising panels, advanced Wi-Fi and virtual beacon technology that tracks shopper behaviour in realtime. Lancini Group portfolio of centres across Australia. Seven commences covering the 2018 AFL Women’s competition live across Channel 7, 7mate and the 7plus app starting this Friday February 2. 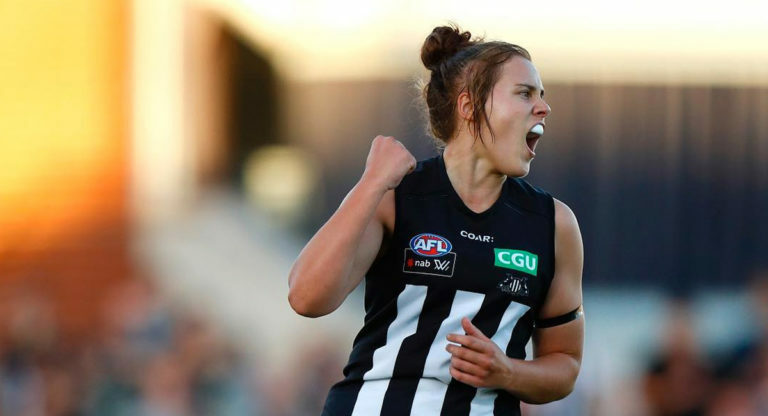 After last year’s blockbuster lockout, the season opener of AFLW will again see two of Australia’s oldest clubs, Collingwood and Carlton, go head to head at Ikon Park. Sam Lane will take up field commentary for both games, bringing stories and insights from the coaches and players. Bulldogs veteran Nicole Callinan will deliver expert comments on Friday night, while Carlton star Lauren Arnell is the expert on Saturday night. Jason Bennett calls both matches, with Nigel Carmody on Friday night and Mark Soderstrom on Saturday night. Seven will also broadcast the AFLW Grand Final live and exclusive. AFL champions Chris Judd, Dane Swan and Brendan Fevola are joining Nine’s AFL Footy Show, reports News Corp’s Nui Te Koha. The champion trio will feature alongside co-hosts Eddie McGuire, Rebecca Maddern, Sam Newman, and regulars Billy Brownless and Shane Crawford on the panel, and in new segments. McGuire described their appointment as “the biggest names in football on the biggest show in television”. There had been some expectation that Chris Judd would also be the new team member on Nine’s Monday night AFL show Footy Classified where he guested alongside Craig Hutchison and Caroline Wilson last year. Former North Melbourne chairman James Brayshaw is set to return to calling primetime footy in 2018. Brayshaw is expected to make a return to Channel Seven, where he began his television career. AFL.com.au understands Brayshaw is most likely to join Seven’s Saturday Night Football lineup alongside Luke Darcy, Cameron Ling and Matthew Richardson. The tennis finals are like a Hindi wedding festival – hot as a furnace, go for days, only way home is a rickshaw. We know this little milieu is aging like Chung Hyeon‘s socks, but Sunday night being a ludicrously high-powered affair (and that was just the front two rows of the crowd), humour us a moment. Or three. The usual minted sociopaths were in their usual gilded seats – so let’s agree on that as given, and here goes a ropey summation of the vaguely more exotic juxtapositions.